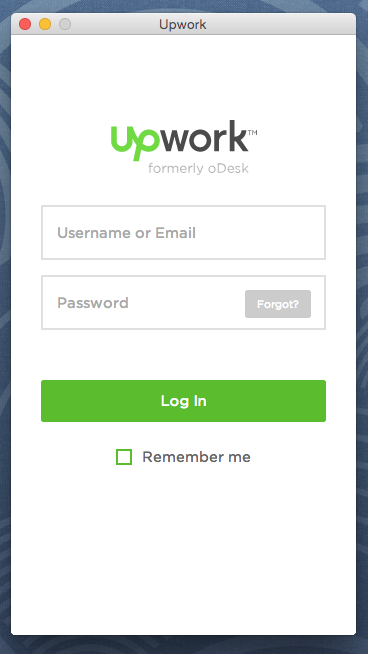 It’s been a while now since oDesk became Upwork. 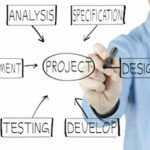 Have you made a successful transition to the new platform? If you’re a freelancer, you’ve probably noticed a few differences. In this post, we’ll take a look at these differences – and share best practices for how to work in Upwork. 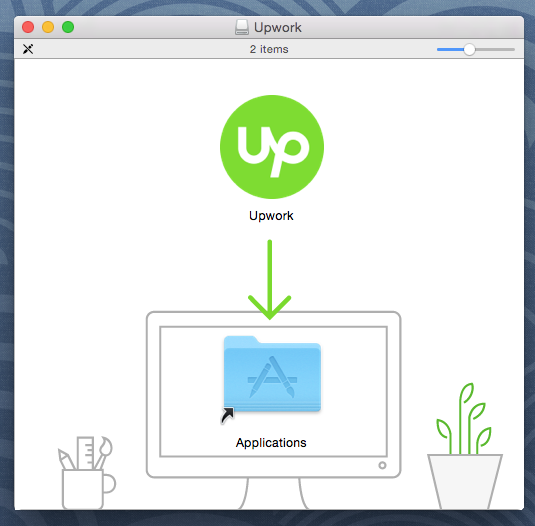 Before you can bill your first hour, it’s obviously important to have the the Upwork app properly installed. The company offers downloads for PC, Mac, and Linux (click here to view the download page). Once installed, the application will likely launch itself. Enter your Upwork user name and password to log in for the first time. Check the “Remember Me” box if you want Upwork to remember your credentials. 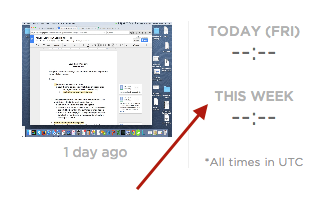 Doing so will save you a few seconds each time you need to bill time. 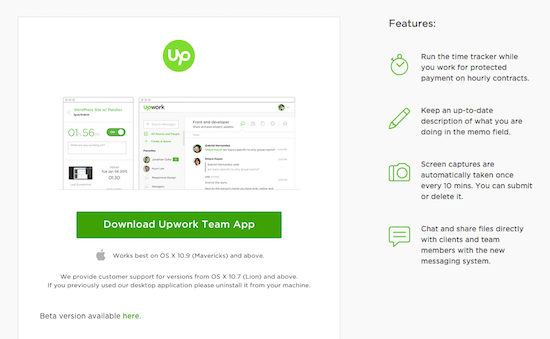 As you can see, the Upwork team app looks very similar to the old oDesk team app. 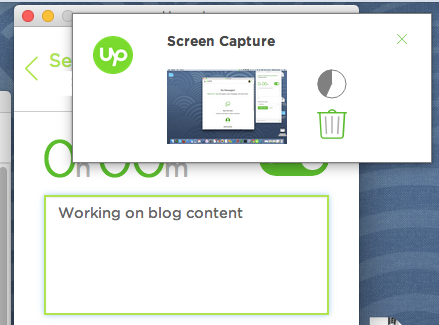 Upwork’s new design scheme is a touch more “minimalist,” which seems to be the trend these days. 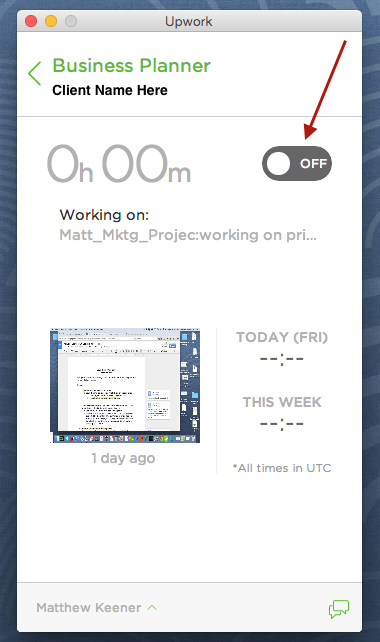 As with the oDesk team app, the Upwork app occasionally checks your work status, snapping a fresh screenshot and prompting you to update your work memo. To stop the billing process, shift the switch back to “Off” or simply close the app altogether. 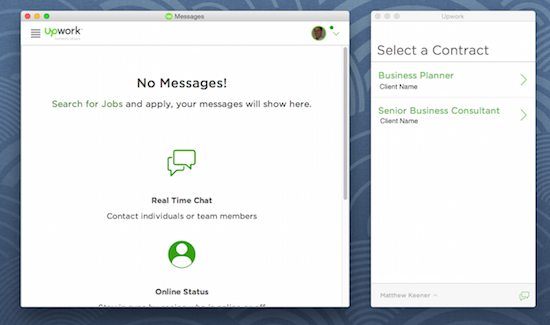 One of the new features with the Upwork app is what they call “Upwork Messages.” Instead of having to log into Upwork.com and send an email, this new section of the team app allows you to do that on the fly. I honestly haven’t used it yet, and I don’t know many clients who are. 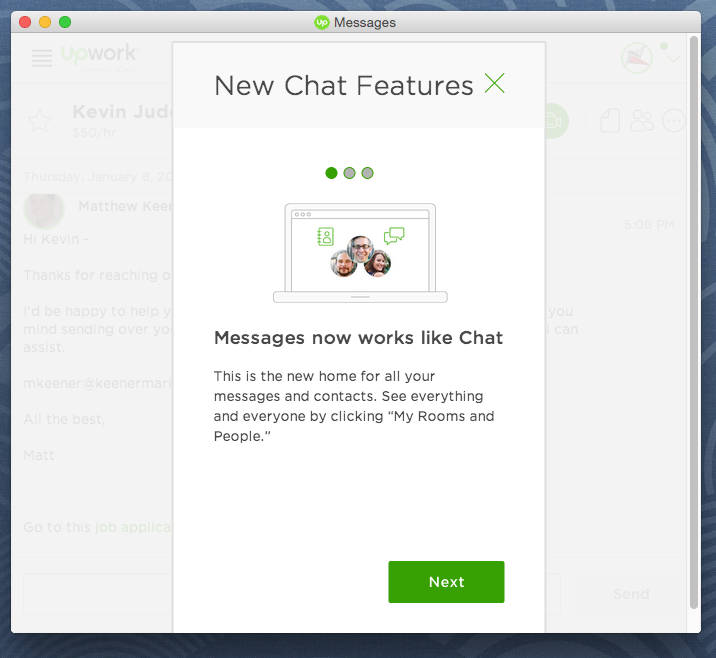 I can see the potential value of this type of tool, but most teams still seem to use Skype or Google Hangouts. Perhaps, in time, Upwork’s Messenger tool will catch on. 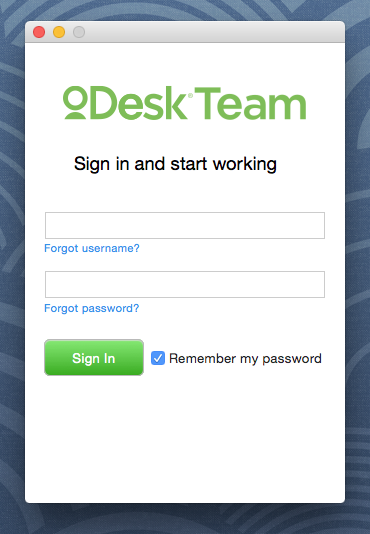 In the early days of oDesk, your only option for monitoring the time billed was by accessing the oDesk Work Diary. This was viewed by logging into oDesk.com. I would always have my Work Diary open in a web browser while billing time. For clients that only give you a limited number of hours, you have to keep close eye on the time you bill. 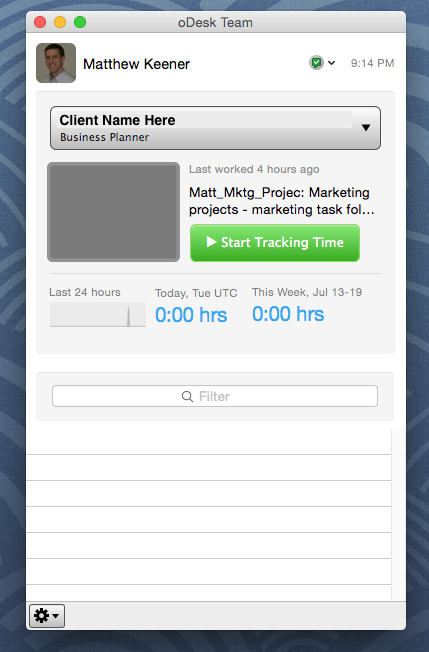 After oDesk merged with Elance, the company began to make this information available on the time tracking app. Now that the company is called Upwork, this information is prominently displayed within the user interface of the app. It’s a subtle change, but certainly a welcome one. I hope this tutorial on “how to work in Upwork” was useful. For more tips, subscribe to our monthly newsletter, which is packed full of freelancing and outsourcing tips.